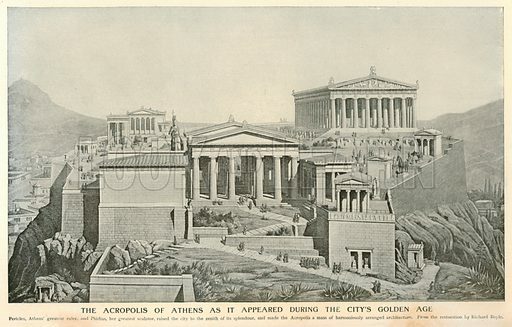 The Acropolis of Athens as it appeared during the City's Golden Age. Illustration for Harmsworth History of the World (1907). Available worldwide for immediate download up to 5,005 x 3,197 pixels.